Singaporean Marrying A Foreigner Is The Reality Of Matchmaking, Not Love! Singapore Women Now Have To Fight Off Japanese Women Taking Their Men! A Singaporean marrying a foreigner is not a new concept. Intercultural marriages have for long been a norm in this progressive Lion City. But a new wave of intercultural marriages are now taking over Singapore—that of Japanese women marrying the city's eligible men. Interestingly, match-making sites that cater to connecting Japanese women to Singaporean men have become common place. Case in point, the to-be launched Destini IS. 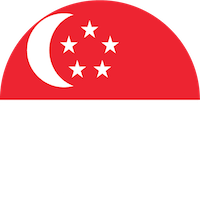 It is a match-making agency that has been founded by a group of Japanese expatriates who're long-term Singapore residents. They have suggestively "dedicated themselves to finding the perfect match for marriage hopefuls in both countries," as their press releases notes. The agency that shared a release with media houses, including HerStyleAsia, report that "At once familiar yet different, Japanese ladies see Singaporean men as the perfect blend of modernity and tradition, championing first-world views on relationships while at the same time embracing traditional values." Destini even went ahead and interviewed Japanese women to ask them first-hand why they liked Singaporean men. While one responded by saying, "They seem very kind and sincere...Plus, they have good manners, and are such gentlemen." Another said they looked handsome and attractive. "They are slim and have a nice body." "They seem to have a cute smile," one responded, "Very masculine, smart," the next added. Some loved the fact that Singaporean men seemed organised, not only in their home, but also their thoughts. "They are very organised and well-planned, Even if they don’t have a plan I believe they can handle well because they have room in their heart," one Japanese woman said. Take a look at the video (below). Even though the company is yet to launch, they have already started advertising and asking Singaporean men to apply. "If you are a single Singaporean male who is passionate about Japanese culture and desire to settle down with a Japanese wife, you could be the dream bachelor for one of the many Japanese women out there looking for love in Singapore," their press releases notes. "And the good news is that you do not have to fly to Japan in your search for a Japanese spouse - there is an agency based in Singapore that can find you one!" they add. How This Unique Matchmaking Works? The idea behind a Singaporean marrying a foreigner is not just one of love. But also the amalgamation of two cultures. And companies such as Destini IS are now making sure this happens regularly in the Lion City. "Sparked by the aim of bridging the two worlds, Destini IS offers matchmaking services to Japanese females seeking life partners in Singapore and Singaporean males looking for Japanese wives. Singapore, a major hub for the Asian economy, has become a trending destination for Japanese ladies to find love and is progressively popular in recent years," experts of Destini IS tell HerStyleAsia. Such companies even provide counselling. As Destini expert shares with us, "To turn the idea of finding (and keeping!) someone perfect for everyone into a reality, Destini IS offers free consultation. We also provide two years of FREE counseling services after each successful marriage." The way the whole inter-cultural marriage works is pretty simple. As in the case of Destini. "Destini IS will prepare and guide each Singaporean male member through the process of finding love, dating, to living with a Japanese wife! Chaperoned right from the very start, each new member goes through a series of comprehensive tests. This, to find out about himself and determine his specific preferences before being matched with the most compatible Japanese female," the expert tells HerStyleAsia. Adding, "The agency is a strategic partner of the Japan Marriage Counselor Federation. It strives to provide members with quick, accurate and high-quality matches. These leverage on their database of 60,000 members in Japan." Companies like Destini also manage Facebook communities which includes couples who've had intercultural marriages. "This online gathering space is where advice could be sought,"says Destini expert. Adding that counsellors give suggestions of ways to nurture a marriage and encourage the couple to share their success stories. It seems that the concept of a Singaporean marrying a foreigner is not only led by love. But also by serious match-making!